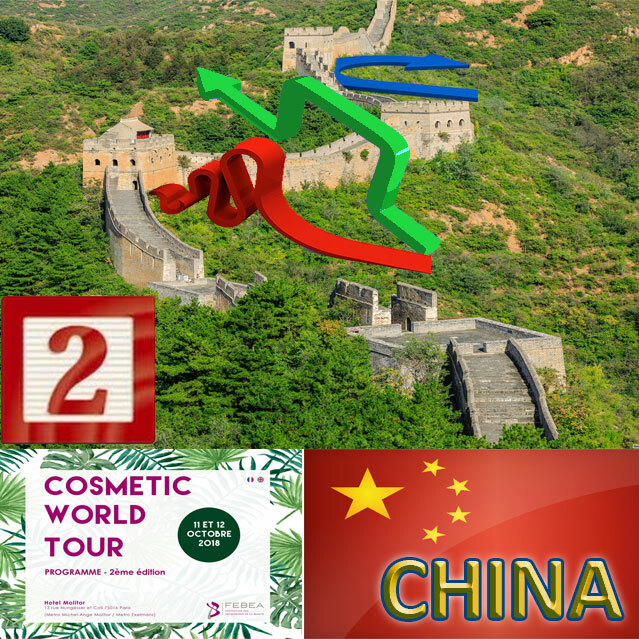 Complex regulations, burdensome administrative procedures, some of the longest registration times in the world, impossibility of using new ingredients… we know that exporting cosmetic products to China is no easy task today. But things are changing… new, easier ways have opened up via e-commerce or free zones like Pudong. And the new regulations, which are more compatible with international practices, are expected to take not (too) long. Gerald Renner, from Cosmetics Europe, developed all these points during the 2nd Cosmetic World Tour organised by the FEBEA on 11 and 12 October 2018. Is this an alternative way to enter the Chinese market? “Today, the answer is yes, and this model is very interesting compared to the traditional import route and the blocking on new ingredients,” said Gerald Renner. Two routes to the Chinese market are now operational. 1. The products are shipped in large quantities to a bonded warehouse. 2. They are recorded in a product register. 3. The Chinese consumer orders a product. 4. A declaration is made to customs which collects the taxes. 5. The product is cleared through customs after verification of the documents (order form, payment sheet, shipment sheet) and the product (packaging, batch number, production date, free sale certificate, etc.). 6. The product is released and shipped to the consumer from the warehouse. 1. The consumer orders the product online from a foreign company. 2. The product is shipped to China. 3. The product and the accompanying documentation are checked during customs clearance as in the case of bonded import.